Sleepeezee are one of the best known bed brands in the UK and the company has been making innovative and high quality beds for over 80 years. This experience combined with visionary designs means that Sleepeezee are experts at producing luxurious beds which ensure you have a relaxing night’s sleep. 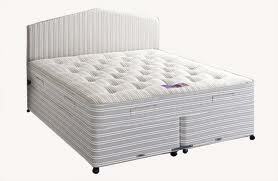 Sleepeezee are famous for developing beds which are designed to ease the pain a bad back can cause. 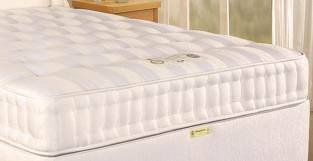 The Backcare Ultimate 2000 king size divan bed has a strong and dense spring system featuring 2000 pocket springs which are topped off with multiple layers of luxury material including silk and pure wool which provides a sturdy but comfortable finish. The Backcare king size bed has enough space for you to really stretch out and find the ideal sleeping position. The Sleepeezee Touch range incorporates memory foam which is a pressure sensitive top layer on the mattress which forms around your body shape for maximum comfort and support. This Touch New Generation 1200 single divan bed is an affordable and super comfortable bed as the mattress features 1200 pocket springs as well as the memory foam top layer. This luxurious Baroness 2000 super king size divan bed features 2000 pocketed springs covered in layers of wool and silk fillings for an amazingly comfortable finish. The Baroness mattress is highly robust thanks to the four rows of side stitching and quality viscose damask cover and as the mattress is so sturdy, it will never need turning and is very easy to care for. If you have difficulty getting in and out of bed or sitting up in bed then the adjustable Sleepeezee bed range is the ideal way for you to have more flexibility. The adjustable bed range can be bought as individual beds or two singles and can be zipped together so both you and your partner can benefit from the bed’s changeable positions. For added ease of use the range of adjustable beds come complete with a corded remote control. 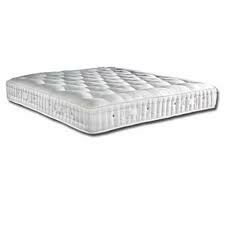 The outstanding Visco Pocket 1400 super king size divan bed features 1400 pocketed springs and a tufted memory foam mattress which means although this mattress is sturdy it still moulds to your body and provides excellent levels of comfort. The Visco mattress has two rows of side stitching for a robust finish so the mattress never needs to be turned and will last for many years.